The Scream 50 is a one of the burlier, more substantial packs in this review, though many of its features are ultralight-inspired. As the heaviest pack in this review, the Mountainsmith Scream 55 toes the line between an ultralight pack and a traditional backpacking pack. Among the latter, it is one of the lightest options out there, though when compared to other high-end ultralight models, it will seem a bit clunky. That said, the Scream provides more support than most ultralight models, and we loved the combination of features. It is also very durable and water resistant, making it a good option for light and fast missions into the alpine. If you are cutting the end of your toothbrush off to save weight, the Scream may not be the pack for you. Alternatively, if you are looking for a lightweight, yet still supportive and fairly burly option, the Scream is a great choice. It also comes in a women's specific design, which is exciting. Though it was one of the heaviest packs in this review, the Mountainsmith Scream has a wide variety of positive qualities. It's durable, comfortable, and can carry heavy loads with ease. If you are looking for a lightweight option but are perhaps not interested in counting grams and cutting your base weight down, then the Scream is a great option. Plus, it comes at a very reasonable price, making it our second Best Buy winner. In this metric, the Scream undoubtedly falls short. The pack is closer to a traditional backpacking pack than any other in our review, and thus weighs much more. This added weight and lack of adaptability regarding stripping down parts of the pack are what make the Scream a low scoring contender in this category. That said, if you know what you are getting into, the Scream can be a high-performing, lightweight pack with a supportive frame and a durable design that you can take into the mountains. Weighing in at 2 pounds 12 ounces, this pack is lighter than most full-size packs on the market; the features, materials, and overall design are inspired by the ultralight style, but the pack provides a level of comfort and support not found in true ultralight packs. The Scream has one of the more extravagant suspension systems of any pack in this review - making in one of the more comfortable packs for heavy loads. The Scream has the most supportive suspension system of any pack in this review. A padded back panel and an extra-padded, wide waist belt provide support for loads up to 45 pounds. It fits comfortably, even when carrying climbing gear and a light backpacking kit, making it a good choice for alpine objectives. While the Scream falls short in its weight-to-volume ratio, it makes up in its ability to comfortably carry heavy loads. Models that compare are the Gregory Octal or the Osprey Exos; all three of these packs focus more on comfort and features than extremely lightweight travel. When it comes to features, the Scream is one of the more unique packs in this review. Most notably is its U-shaped zipper, which we found ourselves using more often than not. Like many other models in this review (the Hyperlite Mountain Gear 3400 Southwest 55, the ULA CDT, or the Gossamer Gear Murmur), the Scream features a roll-top closure. This makes access to the inside of the pack time consuming, though, on the other hand, we appreciate the simplicity and water-resistance that this style offers. In the case of the Scream, we ended up leaving the roll-top in place and accessing the inside of the pack more often by the U-shaped zipper. This combination of features worked very well when we knew we would frequently access the contents inside. The U-Shaped pocket is a nice accompaniment to the roll-top closure on this pack - allowing for quick internal access. We also appreciated the two large, vertical storage pockets on the outside of the pack. These pockets were large enough to store all of our small gadgets and snacks needed for the day and were an excellent alternative to a traditional lid. The roll-top style closure makes the Scream a weatherproof, well-sealed pack. The Scream falls short in adaptability since it proved hard to strip down to reduce weight. What you see is what you get for the most part with this pack, and the aluminum frame is all that can be easily removed. The suspension system and waist belt are fixed, and the pack lacks any removable pockets or a lid. For specific uses, like quick trips into the alpine, this is not a problem, but if you are planning on adjusting this pack to fit a wide range of activities, it will become clear that there is not much that can be removed. This pack ranks highly regarding durability. As is true in most cases, the Scream's extra weight makes it not only more comfortable but also more durable. Heavier fabrics tend to hold up better over time than lighter weight options. In the case of the Scream, the high-tenacity 210D Robic nylon woven with Mountainsmith's Tear-Strength PU coating and integrated Aramid yarn makes the body of this packable to withstand a beating. Grating over rocks on long descents or rocky passes is no problem for this beast. The chest strap has a unique buckle that is more durable than the traditional 3-prong style closure system. Unlike the Hyperlite Southwest, the Scream was able to withstand carrying a bear can with a sharp edge without wearing through the bottom fabric. The buckles and zippers are full-size, and the roll-top closure is reinforced; we saw little wear and tear over our test period with this durable pack. 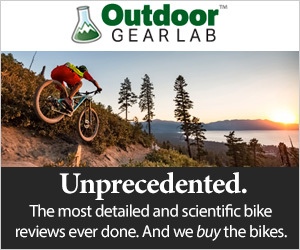 The Ultralight Adventure Equipment packs, like the CDT or the Circuit, compare to the Scream when it comes to the durability metric. Because of its hefty suspension system and durability, this pack is best used for light alpine climbing missions or mountaineering endeavors. The Scream is designed to carry heavy loads and has the water resistance and durability to withstand whatever the elements throw at it. For a relative lightweight pack that can still provide support and comfort, the Scream is a good choice. This pack is best suited for those looking for a little more support and comfort for carrying heavier loads. Sold for $160 online, the Scream is one of the least expensive packs in this review. This price, combined with the durability and thoughtful design make this pack a strong contender for our Best Buy Award. That said, it is a bit bulkier than a lot of other packs in this review, so if you are looking for a lighter pack with a similar price tag, check out the Granite Gear Virga 2 or the ULA CDT, which both ring in around $145. These packs are more traditional ultralight packs, with minimalist frames and much less support. The Scream is a our close runner up in terms of value, with a reasonable price tag and a durable design. The Mountainsmith Scream 55 was one of our favorite packs for comfort, durability, and overall fit. As an ultralight pack, the Scream falls short, as it received lower scores in weight-to-volume ratio and adaptability. This pack is a great option for trips into the mountains, where a durable and supportive pack is key to moving through talus or 3rd class terrain. We also loved the U-shaped zipper that allows quick access to the interior of this roll-top model.